Gauteng Transport MEC Ishmail Vadi is meeting with members of the minibus taxi industry in Vereeniging to hear their grievances. Chaos erupted in the area after taxi operators closed all major routes in protest against the provincial government. Operators say they want the potholes fixed and construction of their taxi rank completed. 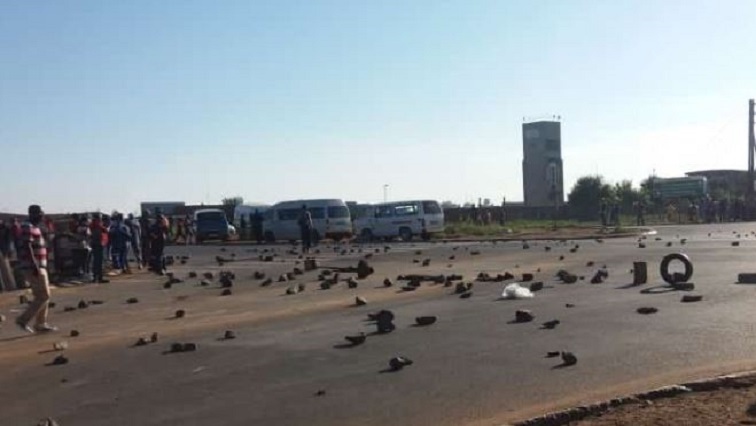 Streets in the Vaal Triangle are littered with rocks and barriers preventing motorists from accessing some routes. On Tuesday morning, taxi drivers affiliated to the South African National Taxi Council (Santaco) began their seven-day strike in the area. Taxi operators are demanding answers from provincial government over the incomplete construction of the Vereeniging Taxi Rank. More than 40 operators have been arrested since the protests erupted. No taxis are available in the area, leaving commuters stranded as a result. The post Vadi meets with Vereeniging taxi operators after shutdown appeared first on SABC News – Breaking news, special reports, world, business, sport coverage of all South African current events. Africa's news leader..